Hard work and enthusiasm leads to a productive workplace. 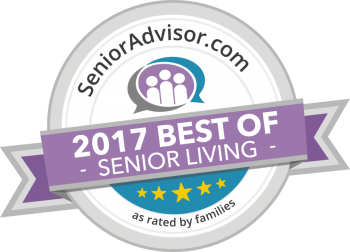 The Lodge at BridgeMill, an apartment community for active and independent adults 55 and older, recently earned the “Best of 2017 Award” by SeniorAdvisor.com, one the most trusted and reputable sources for senior living information in the country. With more than 200,000 senior living community profiles on SeniorAdvisor.com, the Lodge at BridgeMill, located in Canton, Georgia, just 40 miles north of Atlanta, impressively finished the year in the top one percent of outstanding customer reviews from residents, families and visitors. Not only has the staff at the Lodge at BridgeMill laid the groundwork for outstanding customer service, but they also offer their award winning, SUN® (Senior Umbrella Network) Program, which provides residents a variety of helpful programs and exciting activities. With these programs and principles in place, the Lodge at BridgeMill aims to continue receiving positive feedback and exceptional ratings on SeniorAdvisor.com.